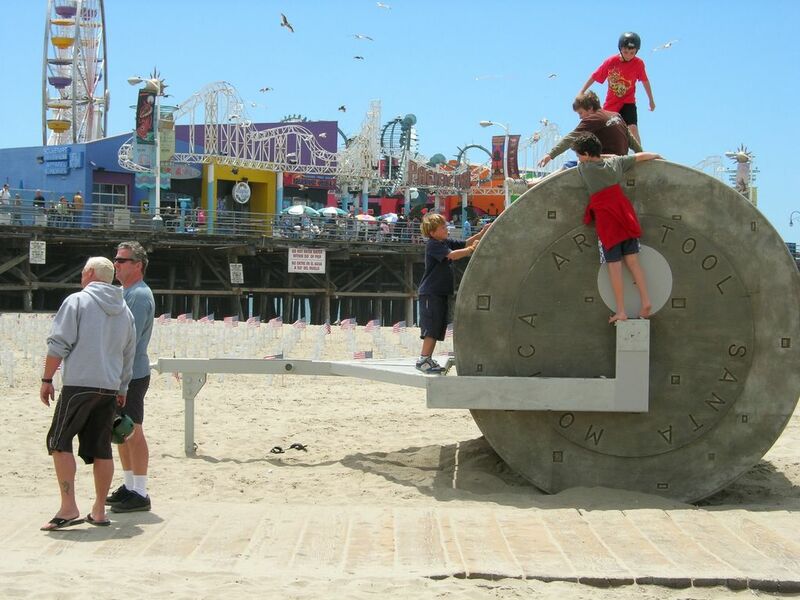 Santa Monica Pier, a big roller and The Mock Graveyard for “Independent Contractors Killed Working In Iraq. More images here. I keep thinking the kid in front of the disc has no head.